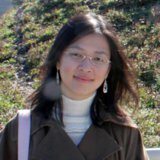 I am sure most people know about gado-gado by now, but I think ketoprak needs to be highlighted just as much. 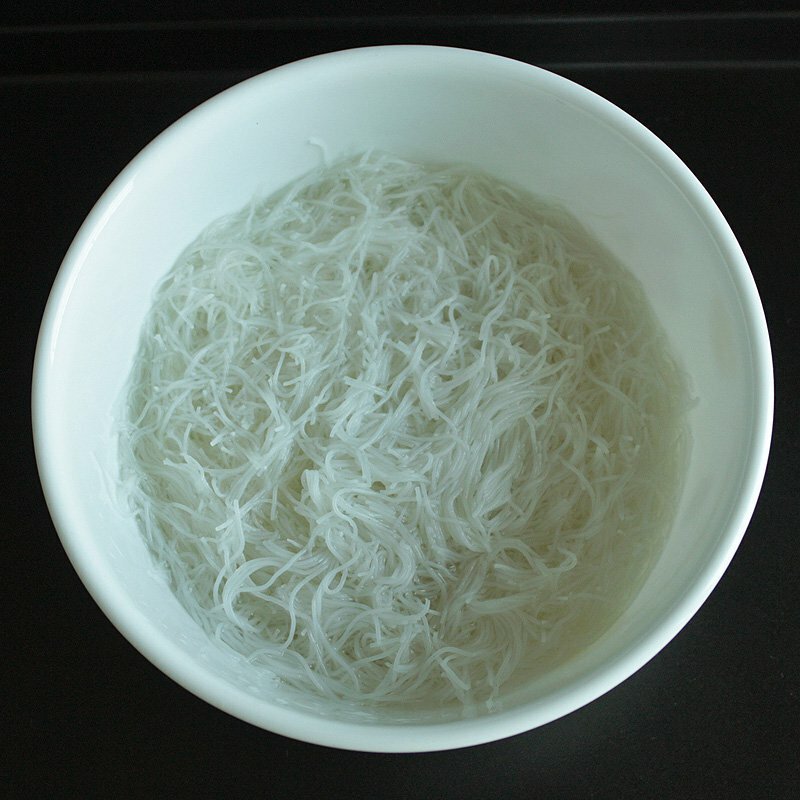 The defining feature of a ketoprak is the use of vermicelli, and that most of the salad ingredients are cooked (other than cucumber). I will be featuring other Indonesian salads in the future, so stay tuned. 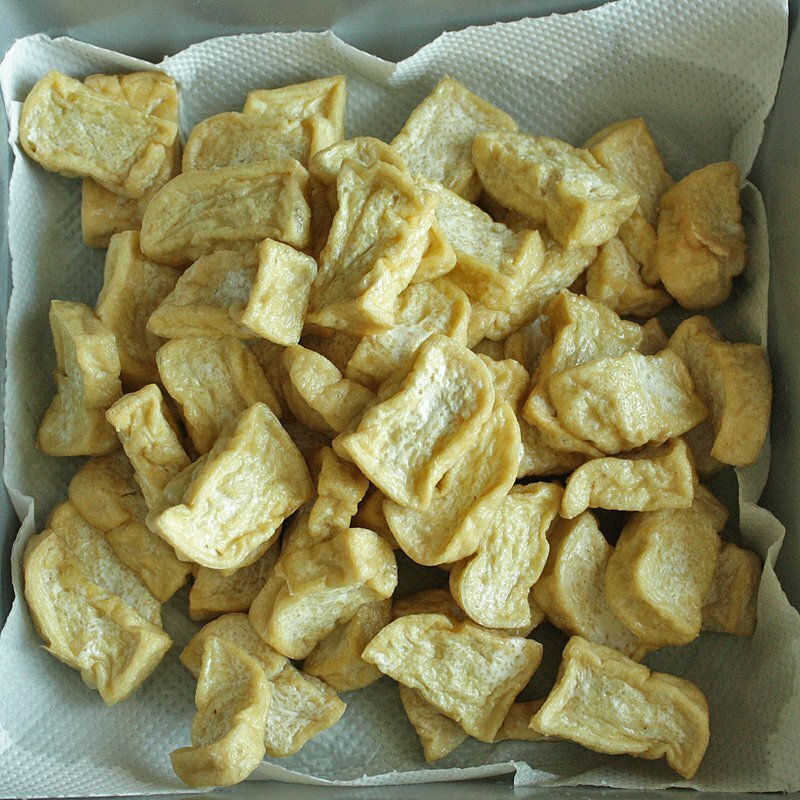 ♥ To make a ketoprak, you will need to do a bit of deep frying. Start by frying the peanuts. 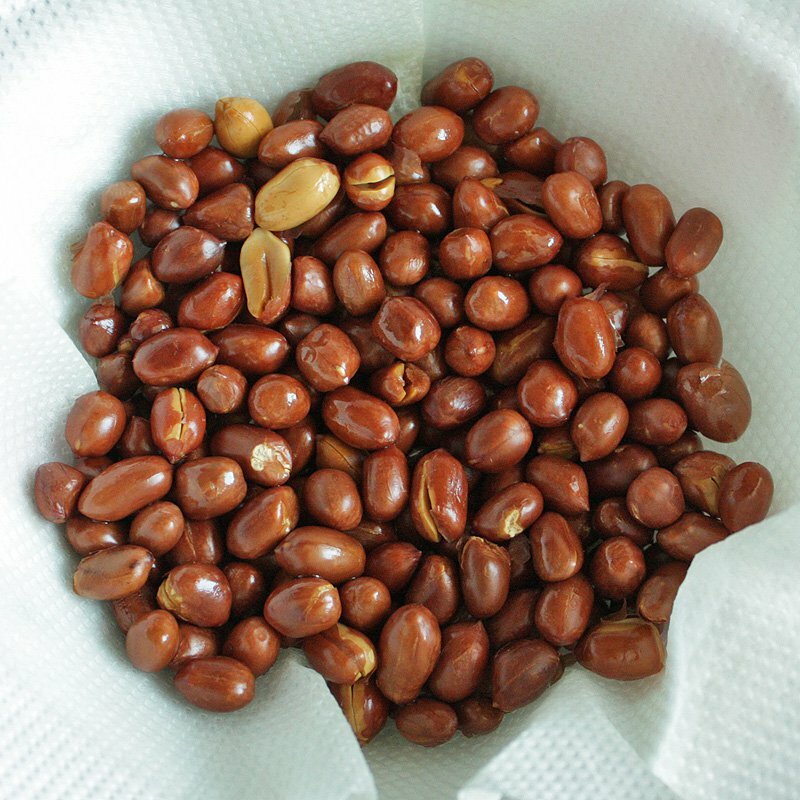 This is how your peanuts should look like after frying them a bit. Lovely hues no? 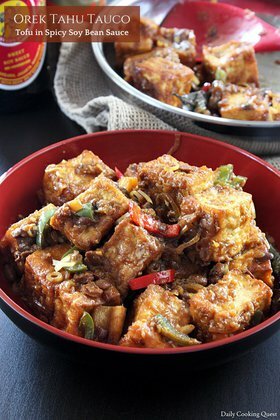 Then, you will need to fry the tofu. A slight golden brown overall is what we want. 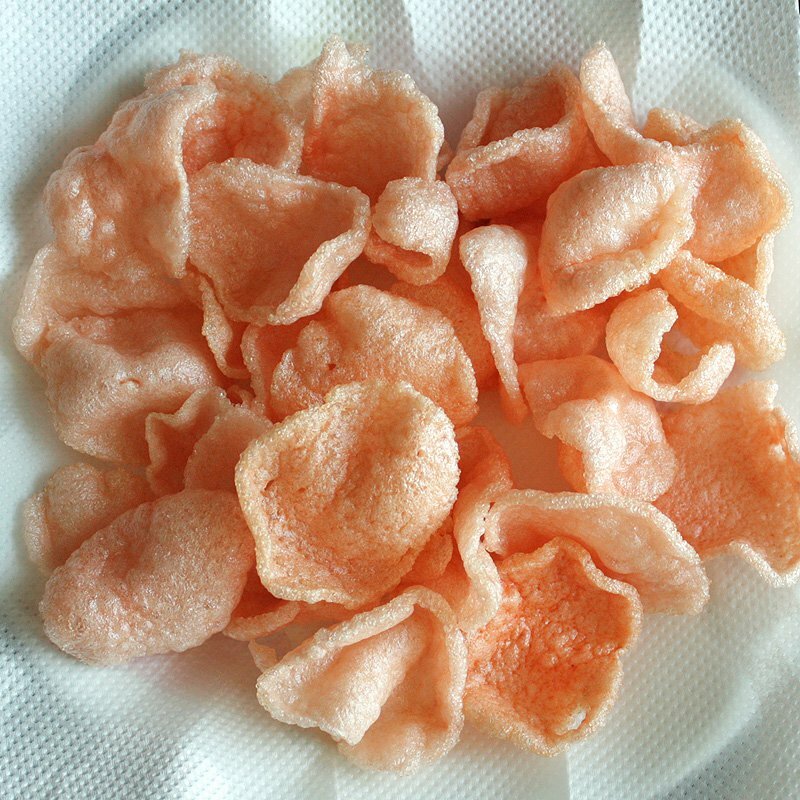 Then, it is time to fry the kerupuk merah (red color crackers). They cook up in no time, just pick them up as soon as they fluff up. And finally fry the garlic and Thai chilies. Now, boil a pot of water to start the blanching process. First up is the bean sprouts. Once you have finished preparing the sauce, it is now time to assemble the ketoprak. 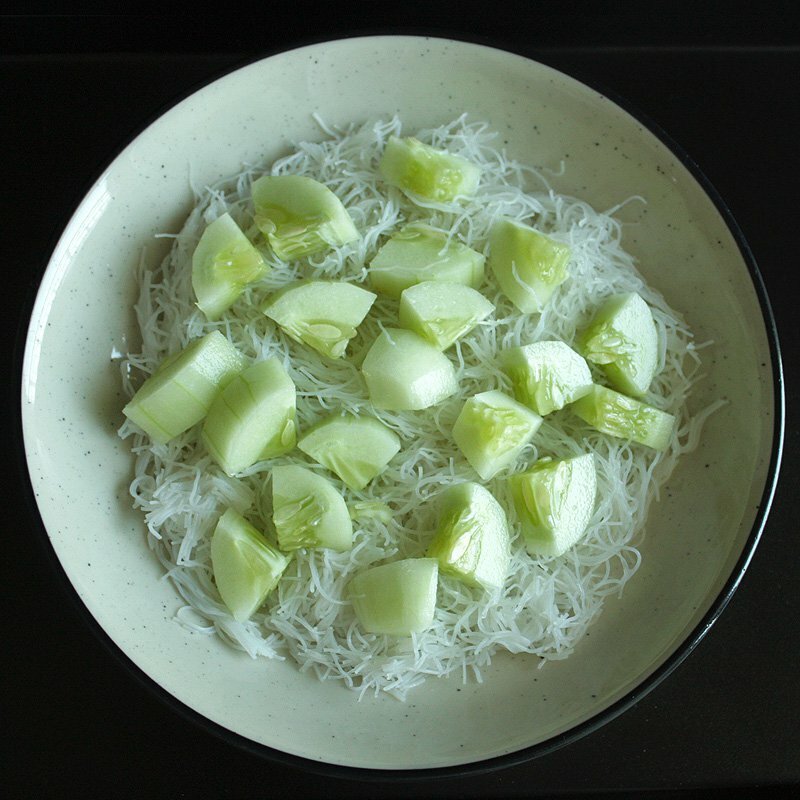 First, arrange a layer of vermicelli and cucumber. 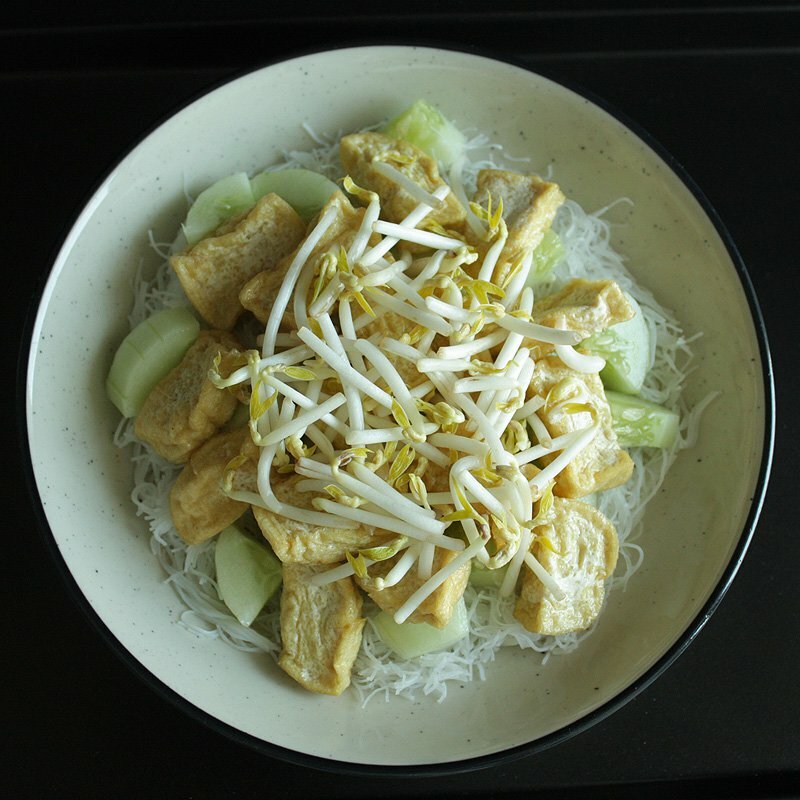 Then, top with fried tofu and bean sprouts. 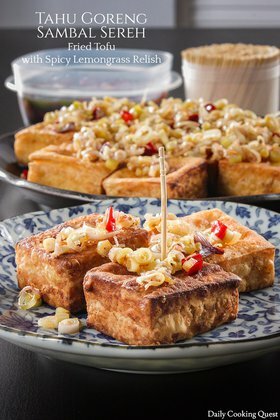 Top with fried tofu and blanched bean sprouts. Finally, top with red crackers, fried shallots, and drizzle with sweet soy sauce. Place the peanut sauce in a separate bowl. Tadaa! Deep fry peanuts until a shade darker. 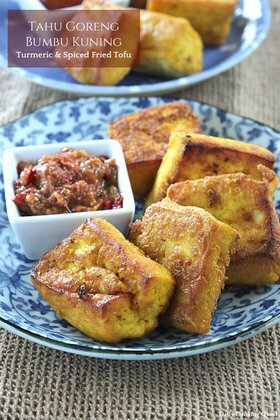 Deep fry tofu until lightly golden brown. Deep fry red crackers until they fluff up. Deep fry garlic until lightly golden brown. Deep fry Thai chilies until a shade lighter. 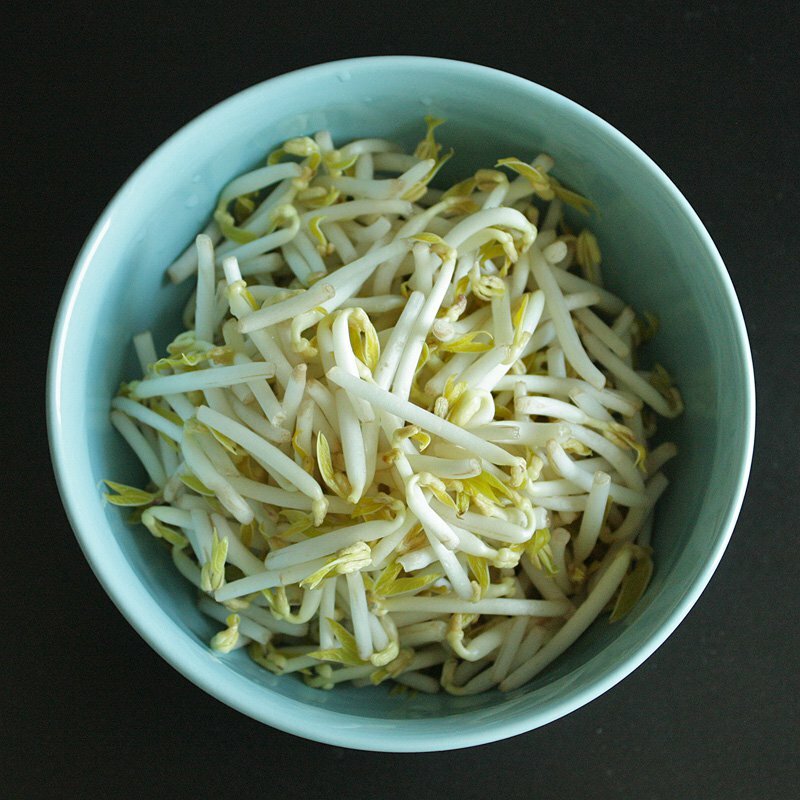 Boil a pot of water and blanch bean sprouts. Remove with slotted spoon and set aside. Blanch vermicelli, drain and set aside. 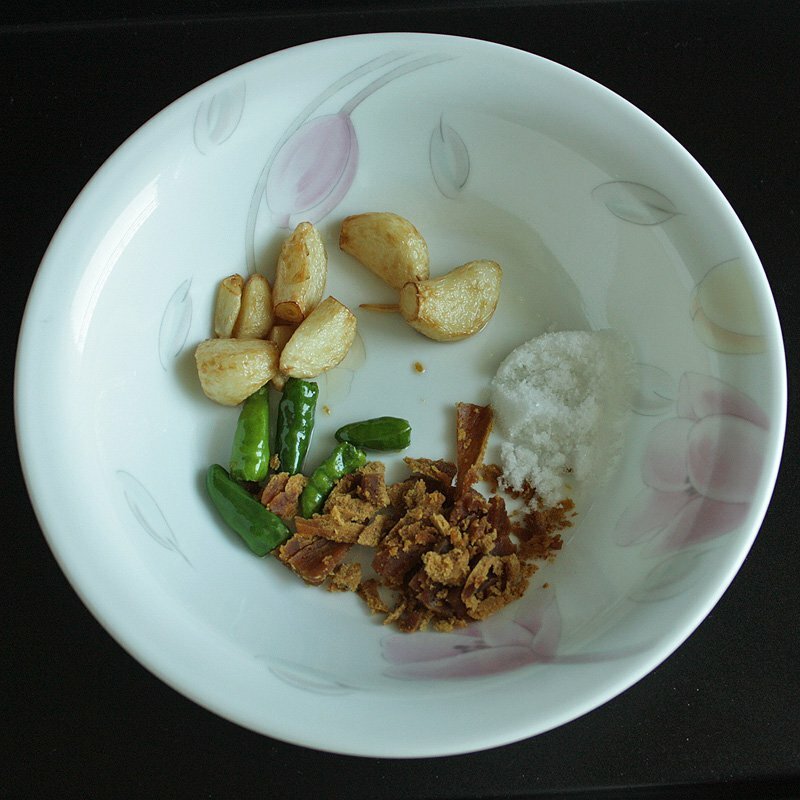 Grind peanut, garlic, Thai chilies, palm sugar, and salt until becoming a thick paste. 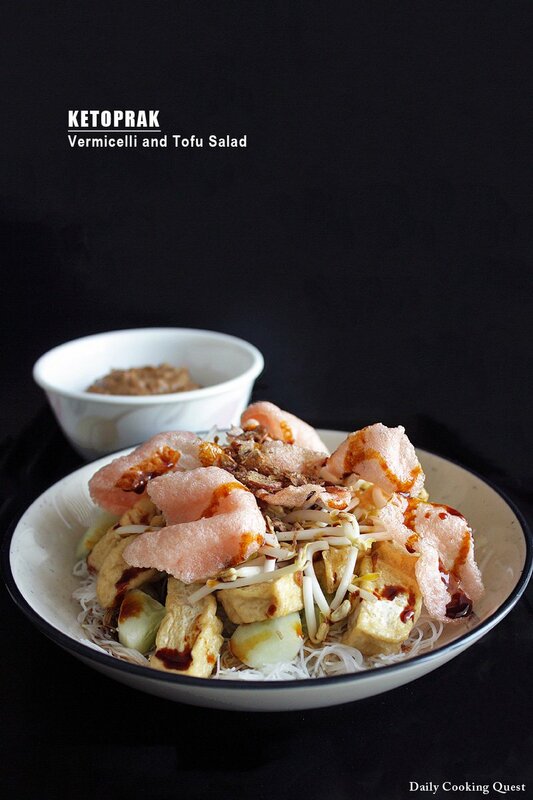 Arrange vermicelli and cucumber. Top with fried tofu, bean sprouts, crackers, and fried shallots. Drizzle with sweet soy sauce. Serve with the peanut sauce. Just prior to eating the salad, pour the peanut sauce and mix well. 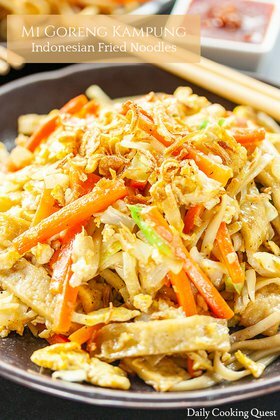 i had once made it for my junior high school graduation everybody just love it, my secret is add some cashew and petis within the sauce, btw, ketoprak cm pake toge aja ya mbak, kangkung dll gak dipake ya?? ?